Whilst we may be in the colder months, there's no better time than now to get your garden ready for the summer. If the one thing you battle the most when you do your gardening is weeds, then we are here to help. 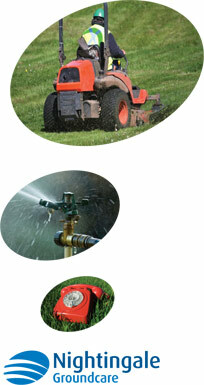 Here at Nightingale Ground Care, we can take care of your weeds once and for all. By using the right treatments and products, we can get to the very route of a weed and remove it for good. We are proud to service those based in and around the Eastleigh area with our services. The team here work hard to provide a first-class customer service, and we will do all we can to exceed your expectations. If you would like to move forward with our services, we would like to hear from you. Simply call us on 01794 323606 where a member of the team will be happy to help.